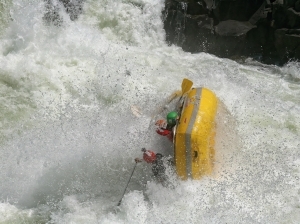 The goal of this rafting expedition is descent of one of the wildest rivers in the world - mighty Zambezi. 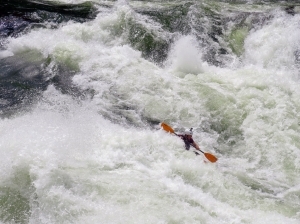 In six days you will paddle the longest possible section of this African beauty. 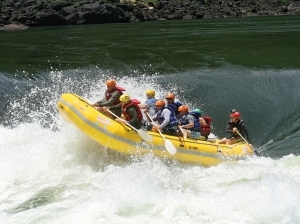 The adventure begins just below the Victoria Falls, one of the Seven Naural Wonders Of The World. 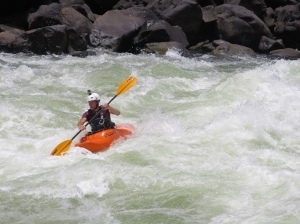 High volume of water creates numerous huge rapids in deep basalt canyon. 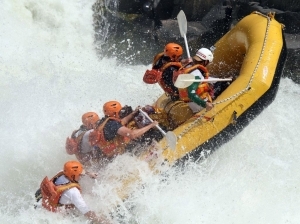 Pools between the rapids, river depth and warm water make rafting on Zambezi relatively safe. 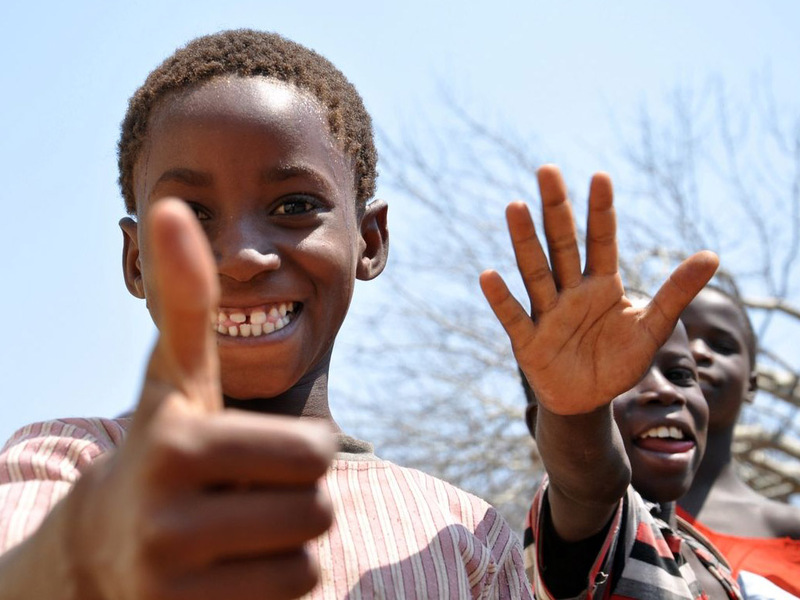 Beeing already in area don't miss the optional add-on and head for safari to Hwange National Park. It makes your trip five days longer and the memories are priceless. 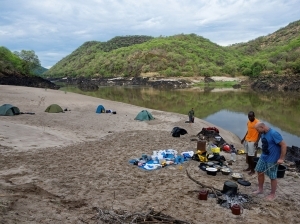 The expedition will be led by our experienced rafting guides for whom Zimbabwean rivers are a second home. 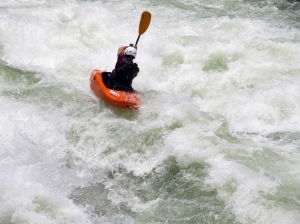 Besides rafts, the kayaks will be available on the trip for safety on the river and more fun in the rapids. 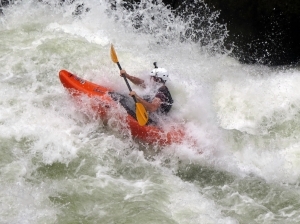 Each boat will be fully equipped with whitewater gear including dry bags. Due to warm weather and water at this time of the year neoprene suits are only provided on request. 1st day GROUP WITH ADD-ON - SAFARI IN HWANGE NP: Pick-up at Victoria Falls airport (VFA) and transfer to a lodge in Victoria Falls. 2nd day Transfer to Hwange National Park. 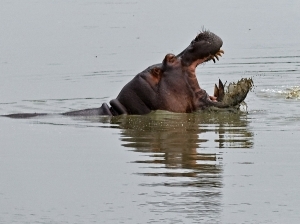 3rd to 5th day Three days of classic safari in one of the largest national parks in Africa. 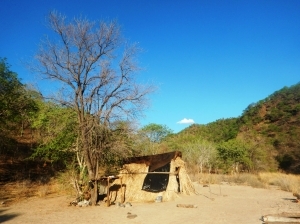 Hwange is known for it's wide range and big amount of animals, elephants in the first place. 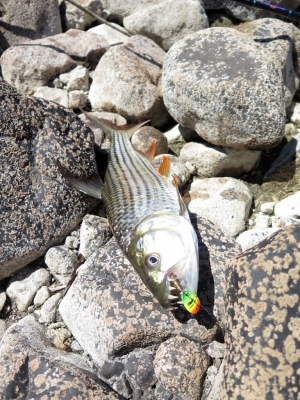 6th day Transfer to the lodge in Victoria Falls; optional fishing, boat cruise, souvenir shopping or other activities. 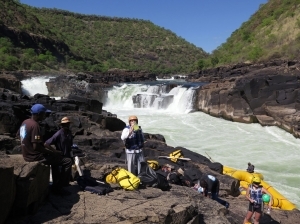 GROUP WITHOUT ADD-ON: Pick-up at Victoria Falls airport (VFA) and transfer to a lodge in Victoria Falls, where the groups join. 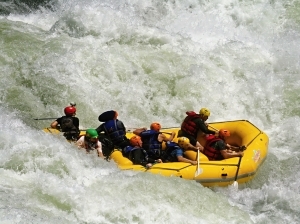 7th day Short transfer to the river, where we'll load the rafts and provide you with PFD's and helmets. 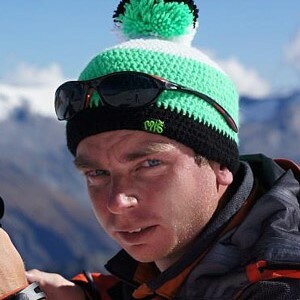 You'll be given thorough safety talk and all needed instructions by your guide. 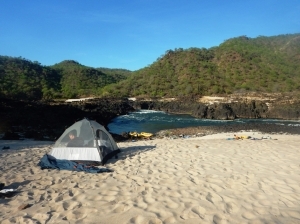 On our first river day we'll paddle about 12 km with several class 5 rapids and reach the beach by rapid #11. 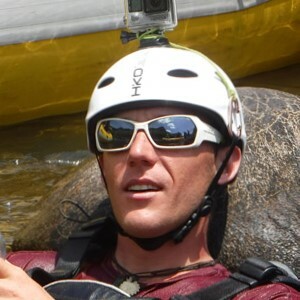 Rapids of the day are Morning Glory, Guliver's Travels, The Devil's Toilet Bowl and many more. 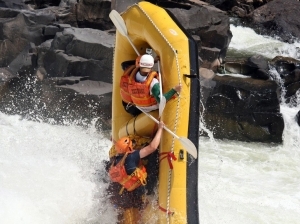 8th to 11th day Unforgettable days in the canyon of Zambezi with an immense number of massive rapids, few portages, some chilling moments, infinite fun and great people. 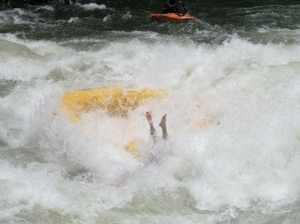 Rapids' names like Overland Truck Eater, Oblivion, The Narrows, Let's Make a Deal or Ghost Riders talk for themselves. 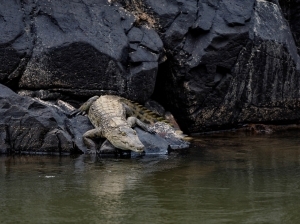 12th day The basalt canyon end makes space for grassy banks, crocodiles, hippopotami and many other animals that are affraid of Zambezi's canyon roar. 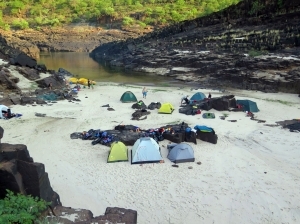 On the take out at Matetsi River we'll deflate the rafts and get a ride back to Victoria Falls. Celebration follows! 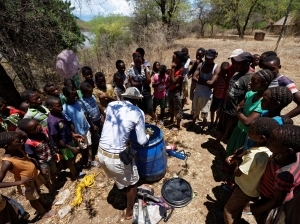 13th day Optional program in Victoria Falls area. 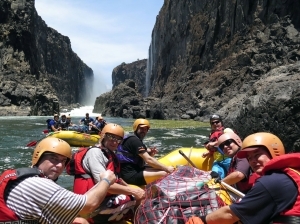 You can choose from huge variety of activities, such as horseback or elephant riding, lion station visit, helicopter flight above Victoria Falls, bungee jumping, canoeing on calm waters of upper Zambezi, safari, etc. 14th day Departure, shuttle to the airport in Victoria Falls. With Hwange NP add-on – 5 nights in the camp site (4 in Hwange and 1 in Victoria Falls), 1 dinner + 3x full board + 1 breakfast, Hwange NP entrance fee. Airfare, Visa (about 30 USD for Zimbabwe or 50 USD for KAZA), Off river meals, Travel insurance. 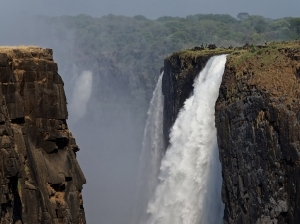 Additional $20/person/night for sleeping in a room at Victoria Falls. 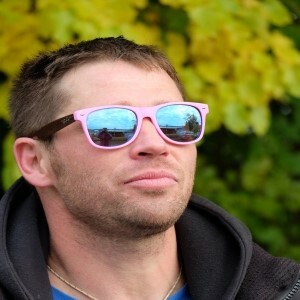 Helicopter flight back from the take out.